Scam. That was Henrietta Schubert's first thought when lawyers told her a 16th century painting in a French museum belonged to her Jewish grandparents, who sold it to escape Nazi Germany. But when France returned Portrait of a Man to Schubert's family on Monday, her tears could not have been more genuine. Scam. 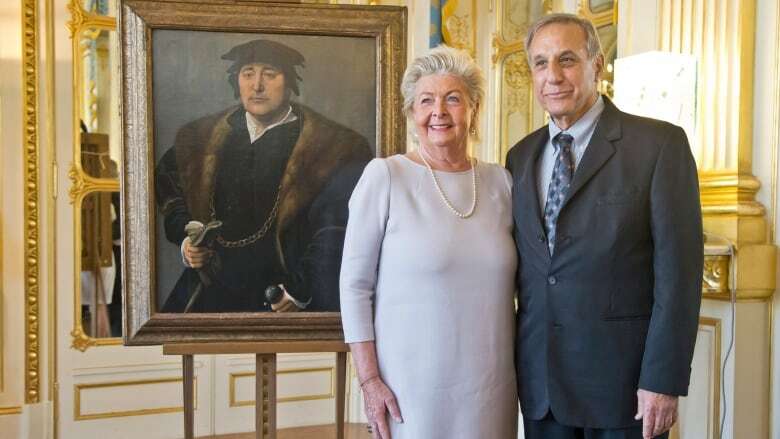 That was Henrietta Schubert's first thought when lawyers told her a 16th century Flemish painting hanging in a French museum belonged to her Jewish grandparents, who had sold it in 1938 to secure their passage from Nazi Germany to America. But when France's government returned Portrait of a Man to Schubert's family on Monday, her tears could not have been more genuine. "You never expect something like this," Schubert, 67, said. "The Nazis are dead, and this can help our wounds heal." Aware that time is stealing chances to identify the owners of lost or looted Second World War treasures, France has dialed up efforts to find them or their heirs. The government, which in the past relied on claimants to come forward, now is actively seeking them out. The groundbreaking initiative relies, in part, on painstaking detective work by dozens of genealogists scouring death records and other public and private archives to piece together the family trees of people persecuted or killed by the Nazis. 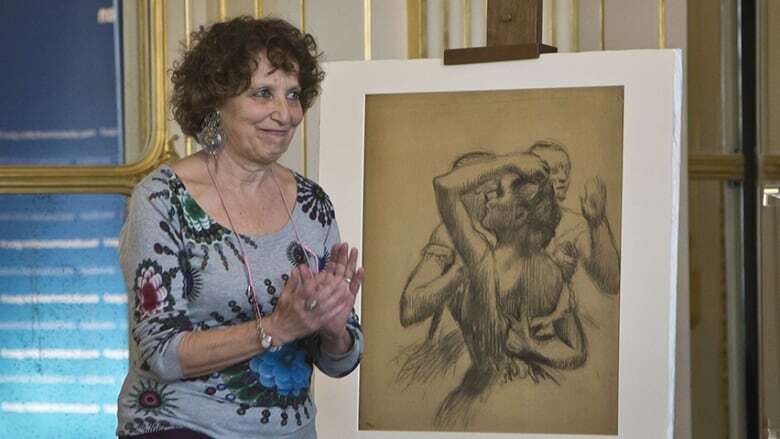 That's how an Edgar Degas sketch that Nazi occupiers in Paris stole from Maurice Dreyfus in 1940 came to be reunited this year with his daughter, Viviane. Her family was the first beneficiary of the government's proactive search program, launched in 2015. "We just got back a small, little piece of my father that I never knew about, which is a beautiful, beautiful miracle," Viviane Dreyfus said at the handover ceremony in May of Degas' Trois Danseuses en Buste. Maurice Dreyfus died in 1957, unaware that the charcoal sketch of three ballerinas had been found six years earlier in a cupboard of the Nazi-era German Embassy in Paris. Dreyfus never had mentioned the 19th century artwork to his family. "It's wonderful that France is taking responsibility to find out who this all belongs to, as it's so much more than art," Viviane Dreyfus said. France's museums still have and display some 2,000 pieces of unclaimed art and other treasures recovered after the Allies defeated Nazi Germany in 1945. At least 145 of the items are known to have been stolen from Jews. Others are thought to have been bought or commissioned by Nazi occupiers, often forcibly. The histories of many of the pieces are unknown. In museums, works with such a painful provenance are identified with a discrete label — "MNR," French initials for National Museums Recovery. So discrete, in fact, that most museum visitors have no idea that they are appreciating art with a multi-layered history. Unclaimed MNR art includes works by Claude Monet, Auguste Renoir, Édouard Manet, Paul Gauguin, Gustave Courbet and others less well-known. "Many Holocaust survivors and Jews who fled the Germans didn't talk about their often painful wartime experiences, including that they had art works spoliated. So many families don't know," Marie-Christine Labourdette, France's director of museums, told The Associated Press. Now, genealogists are close to identifying several families as the rightful owners of recovered works. Their searches have led them beyond France to Britain, Switzerland, Luxembourg, Portugal and Japan, Antoine Djikpa, president of the Genealogists of France, said. "Our goal is to establish all legal certainty," Djikpa said. Yet in some cases, families have rebuffed the overtures for reasons that remain mysterious, he said. "You can reach the paradoxical situation where an heir refuses any contact, while we are here to serve him," Djikpa said. The oil on wood painting returned to Schubert's family during a handover ceremony Monday at the French Ministry of Culture had been earmarked by the Nazis for Adolf Hitler's "Fuhrermuseum." The Nazi leader, a failed artist, wanted to build a museum in his hometown of Linz, Austria, to house thousands of stolen works that he ordered be placed at his personal disposal. Christopher Bromberg, Henrietta Schubert's cousin from Philadelphia, came with her to Paris to collect their grandparents' painting, which they had not known existed until recently. "The painting doesn't even have to have any monetary value," Bromberg said. "It's about connecting us to our past and the story of our family that was lost."